With more than 30 years of experience within the industry, Richard Butterfield is able to provide a range of specialist thatching services across Somerset. Utilising the latest technology, Richard is able to create a range of long lasting bird tables designed to meet your individual requirements and specifications. Based in Taunton, Richard Butterfield provides high quality thatching services across the local surrounding areas of Somerset and Devon. Having started thatching in 1985, Richard has provided hundreds of properties with specialist services that are guaranteed to meet your individual requirements. Not only this, but Richard is also a part of the Master Thatchers Association, ensuring that you will be provided the highest quality of service for your peace of mind. 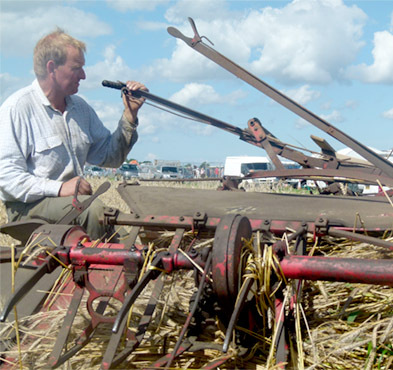 Using reed sourced from local suppliers in Somerset, as well as growing his own wheat reed, you can rest assured that you will be provided a long lasting product that lasts for years to come. All of the reed that Richard Butterfield uses is of the highest quality, ensuring that your thatched roof will last for many years to come. From thatched roofing to bird tables, Richard Butterfield is able to provide you with a variety of specialist services that you can not only trust, but are also designed to suit you and your property. If you require a high quality thatcher, contact Richard today and discover how he can help you with your thatching needs and requirements.